A couple weeks ago I got a message out of the blue from Shannon at the Lemon Ranch Animal Sanctuary in Temecula, California, asking me if I'd be willing to donate to their silent auction. I don't know how she got the idea that I'm an animal lover from my shop (hah! ), but she definitely reached out to the right person! Come and meet the animals of Lemon Ranch! Our first ever Open House is guaranteed to be fun for the whole family. So anyway, I looked through my items and found two that I had on hand to send, then I decided to make 2 just for them! 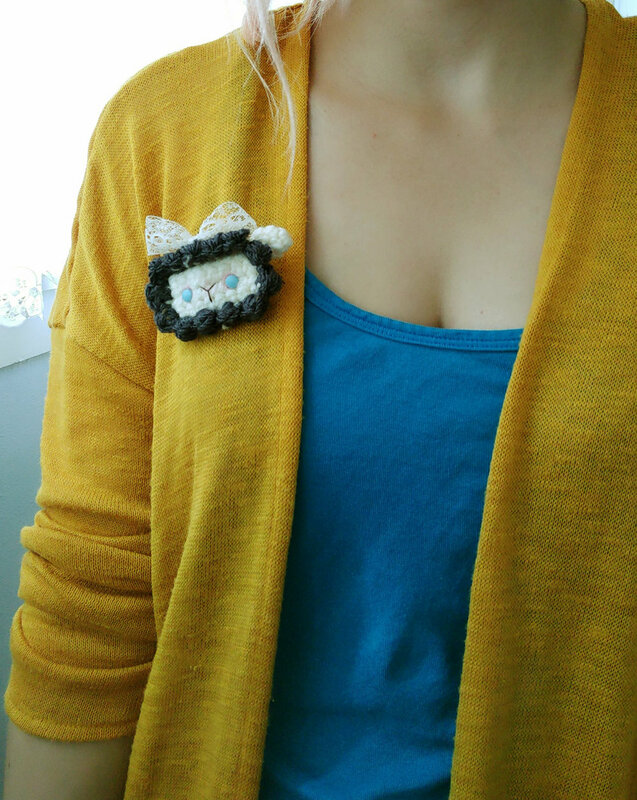 I sent my sheep phone sleeve and the white cat plush, and I made the bunny keychain and sheep pin! 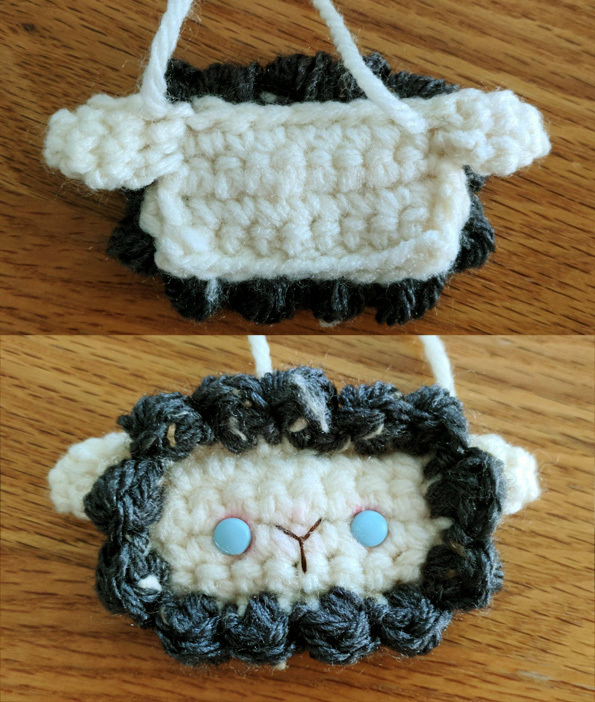 Both the sheep and cat patterns are available at etsy and ravelry. 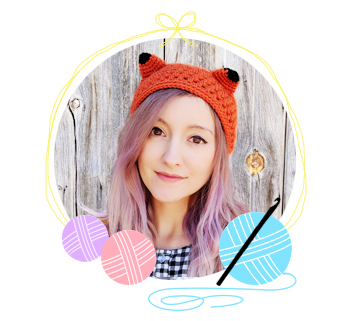 The rabbit is a variation on my animal badge pack! I did the first 2 rounds in one color, then switched to the main color for the rest of it. Should be easy enough for those of you with the pattern to replicate! 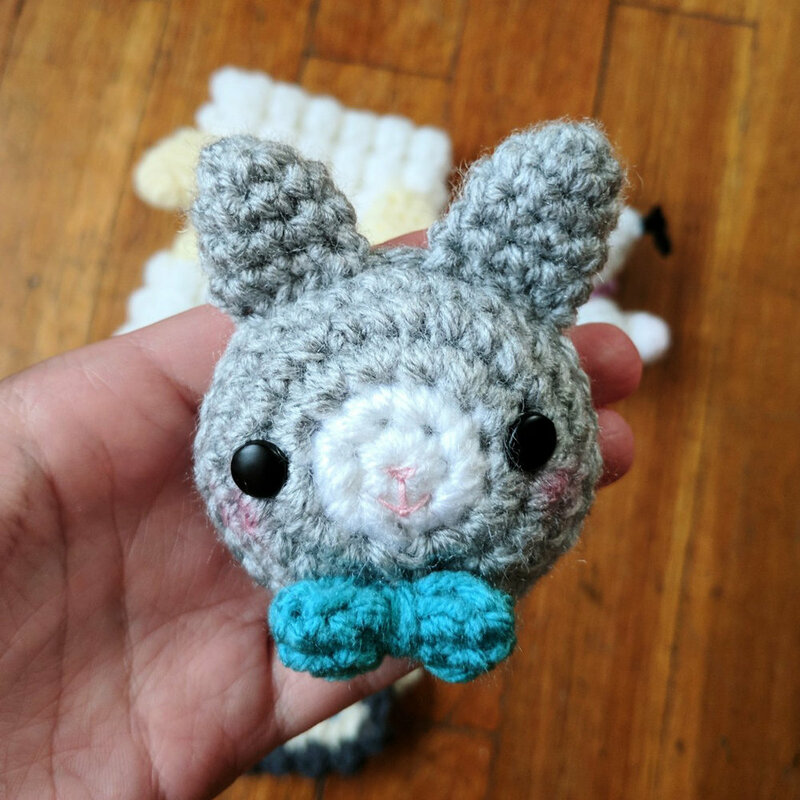 Now for this guy I made a whole new pattern, and I'm gonna share it with you guys! 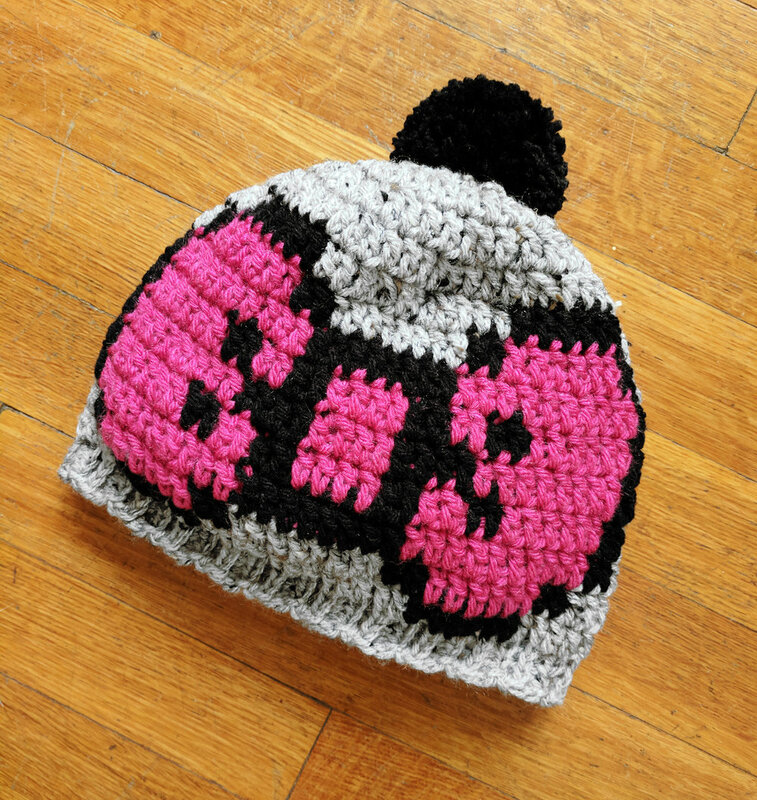 It's really simple and easy to work up, you could make an entire army of these cuties in lots of different color combos! First we'll make 2 rectangles. Finish off the first one, but leave the 2nd one open. 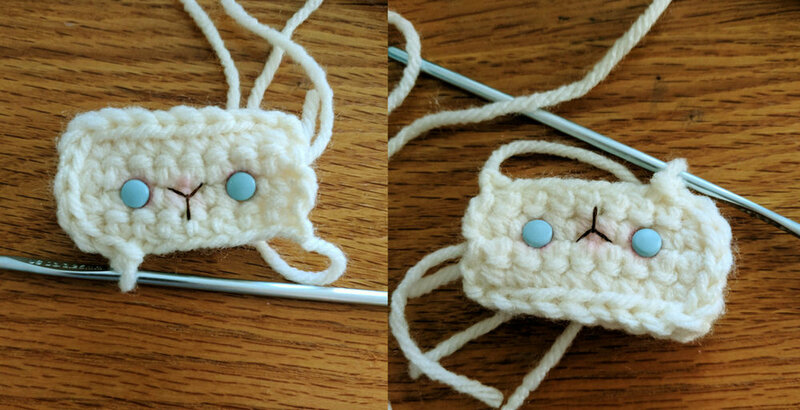 We'll use the open loop to sew the two rectangles together with sl st.
Boom, that was easy. 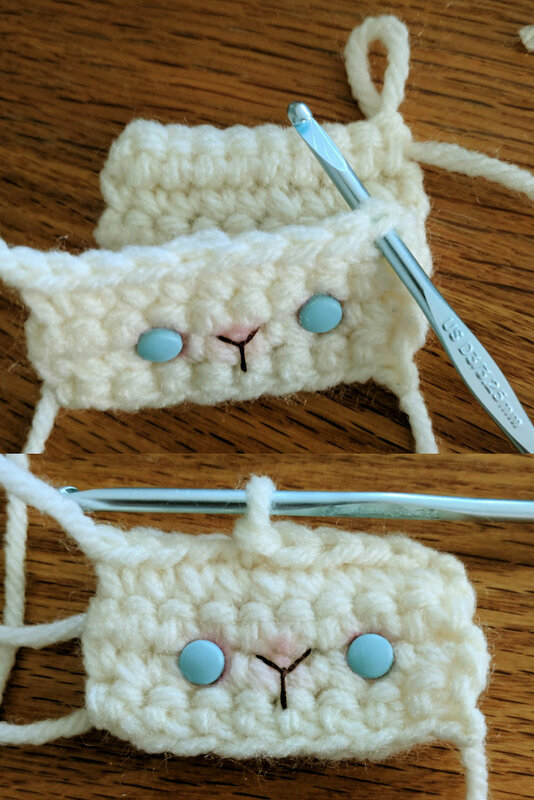 Now remove your hook from the 2nd rectangle and make the face on the first rectangle. You can do the pastels differently, or not at all, but what I did was first position the eyes, remove them, and mark them with a marker so I could see them. Then I applied the pastels over the marks. Then I embroidered the Y mouth, and applied pastels over the nose. With me so far? I told you this was easy. Now line up the rectangles with the open rectangle away from you, with the open loop on the top right. Pull the loop through the matching corner stitch, then sl st across the two pieces, making them 1. Don't do it tightly, you don't want to make your piece shrivel up or anything. Don't do any extra stitches in the corners or anything. 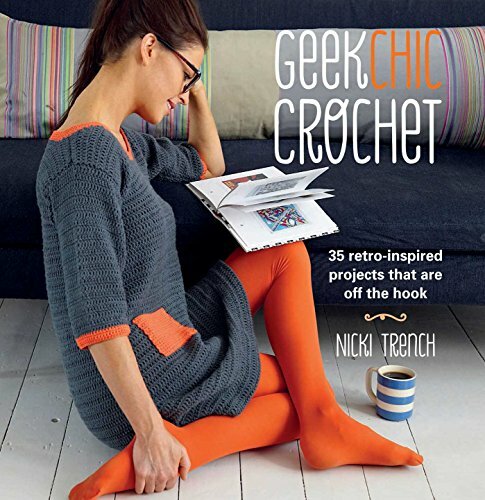 Now grab your 4mm hook and wool-colored yarn. 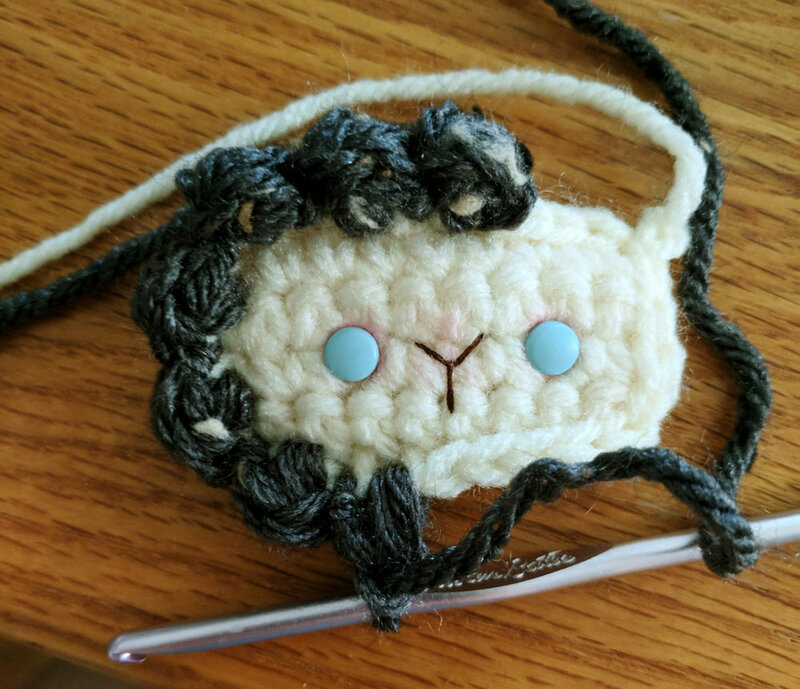 Work your stitches here in the loops in front of the face. 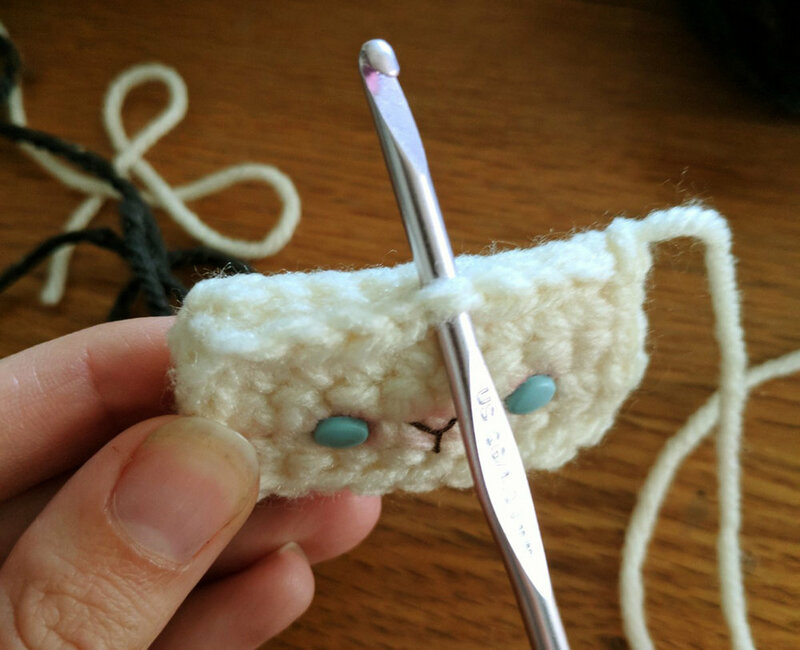 The wool is done with puff stitches! 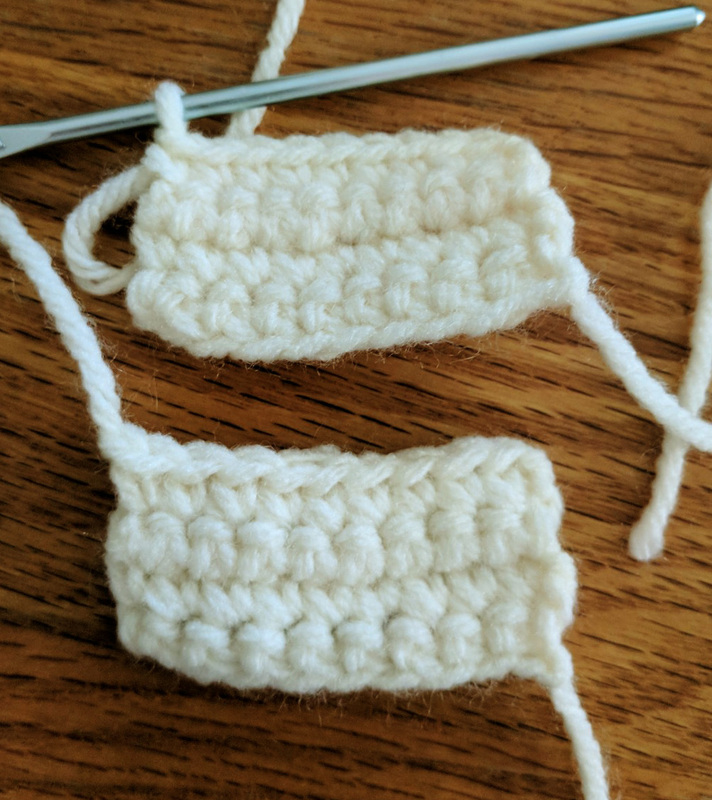 For these particular puffs, repeat this *yarn over, go through stitch, yarn over, pull back through stitch* until you have 5 loops on your hook, then yarn over and pull through all 5 loops and secure with a ch1. Easy peasy. So for your first st, do a puff. In the next st, sl st. Repeat puff, sl st until you get back to where you started. That's it! If you have 1 too many stitches, just skip a stitch between your last puff & sl st.
Go back to your 3.25mm hook for these. Finish off, leave a tail for sewing on. It was a little tricky figuring out where to sew them on, but I think right on the top of the head on the edge is just right. At this point, I felt like something was missing, so I added a little lace bow! I have tons of little bits of lace ribbon from garage and estate sales, so I try to use them whenever possible. :D All I did was cut a length of ribbon and tie a bow. I then used a needle & thread to secure the knot, then cut off the tails. Then I sewed it onto the top of the head. I didn't really get decent photos of this, sorry!! Now attach whatever hardware you like & you've got a cute lil friend!